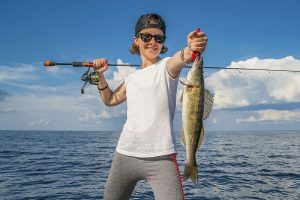 The Michigan Department of Natural Resources recently jaw tagged 3,000 walleyes in a number of Saginaw Bay tributary rivers. Anglers are asked to collect information on tagged fish they catch and to report it to the DNR. The DNR has tagged more than 100,000 walleyes in the Saginaw Bay area since 1981. 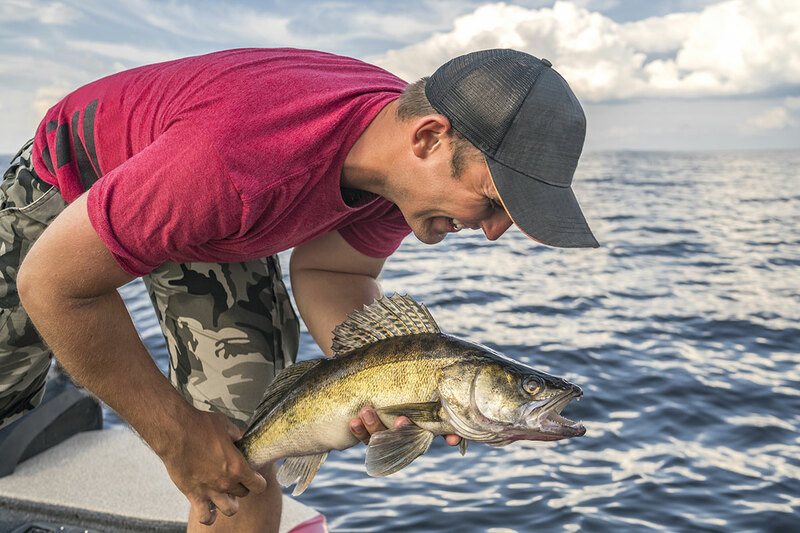 Jaw tagging is part of a long-term research project to monitor survival and harvest rates and to learn about walleye movement. 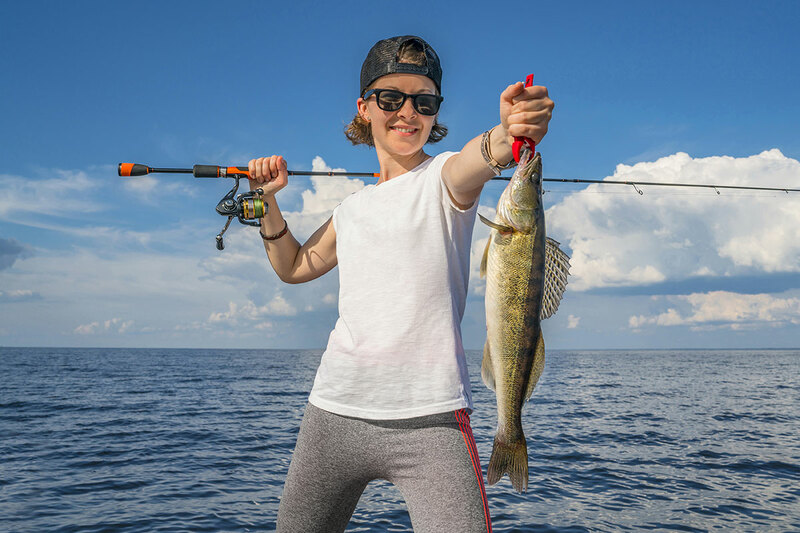 The program depends on anglers to report when and where they catch a tagged walleye, as well as the fish’s length, weight (if known) and tag identification number. Once reported, anglers will receive a letter back detailing the history of their fish. About 10 percent of the tags include a $100 reward for reporting the tag. Each tag is stamped with a unique identifying number and a P.O. box address. 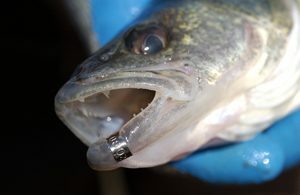 If anglers prefer, they can report their tagged walleyes online at michigandnr.com/taggedfish/. Anglers can keep the fish, of course, or release it if they prefer. 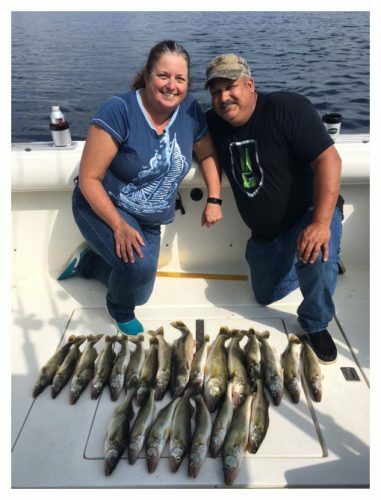 Anglers are reminded that in order to be eligible for a reward, photos are required of the flattened tag. 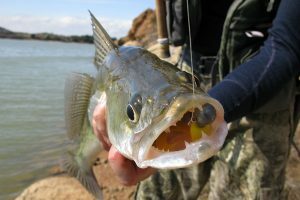 If the fish is released and an angler is not interested in being eligible to receive a reward, the tag should not be removed from the fish’s jaw. The tagging operation occurs each spring on the Tittabawassee River and other Saginaw Bay tributaries during the walleye spawning run. They are collected with electro-fishing boats that temporally stun the fish to allow fisheries biologists and technicians to collect vital statistics, tag the fish and release them back into the river after the fish have recovered. After spawning, walleyes migrate back into Saginaw Bay and a large number migrate out of the bay into Lake Huron. 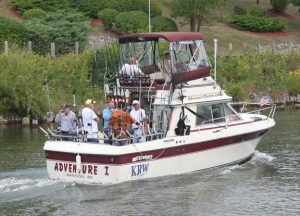 The fish that migrate out of the bay have been found ranging in the Straits of Mackinac to the north and Lake Erie to the south.